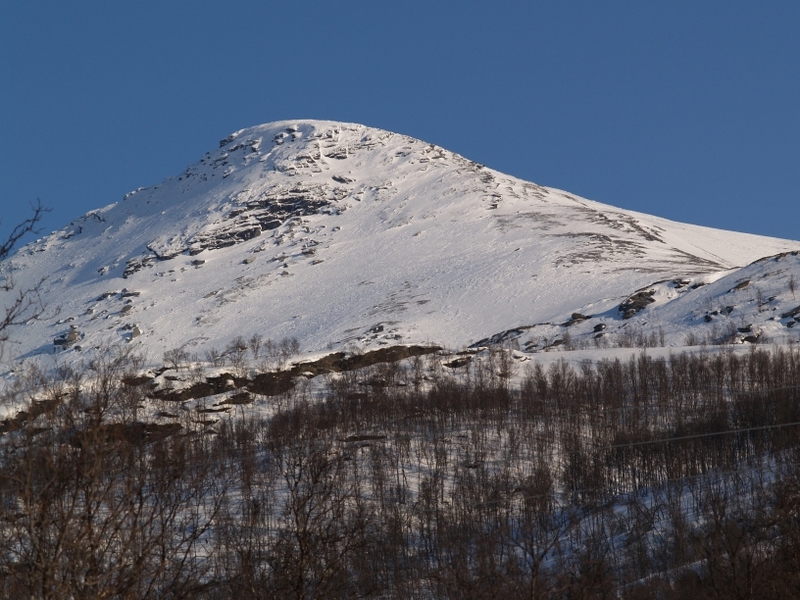 Litletinden as seen from Sjøvassbotn. 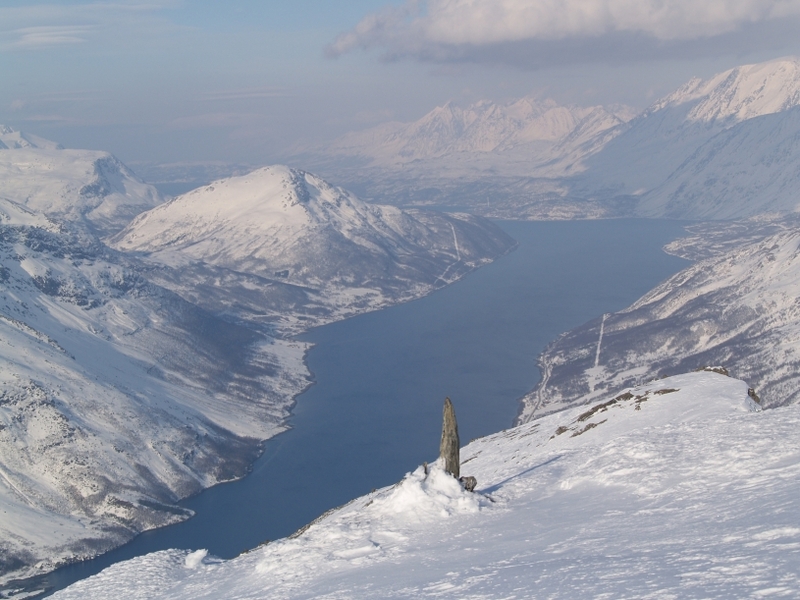 A brief route description: Litletinden is situated to the East of Laksvatn in Balsfjorden. 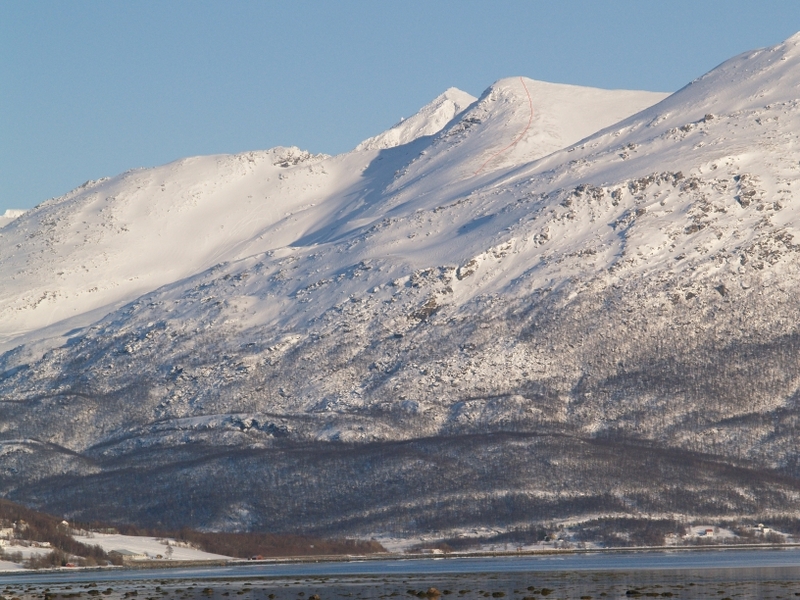 Drive to Laksvatnet and park near the sign Tromsø Kommune. 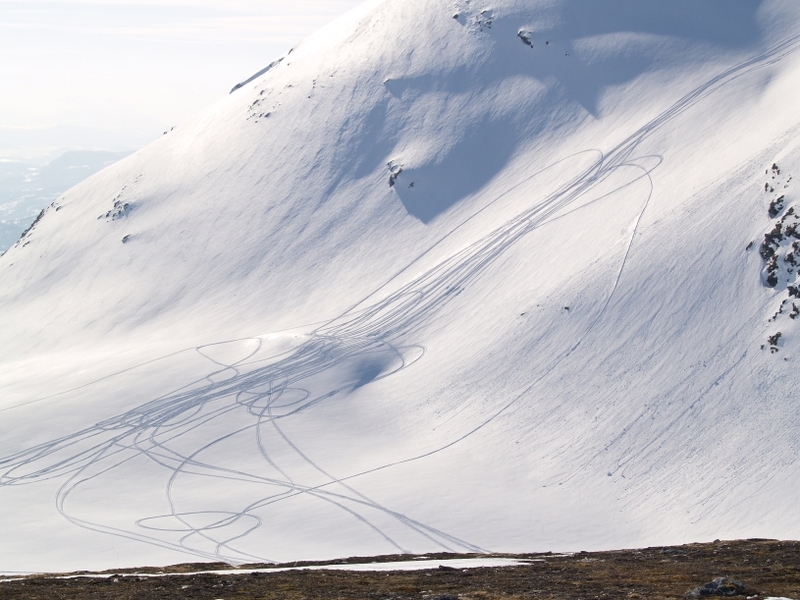 Follow the dirt road - that starts only 50 m South of the sign - up to the treeline and continue up to the pass between Laksvatnfjellet and Litletinden. 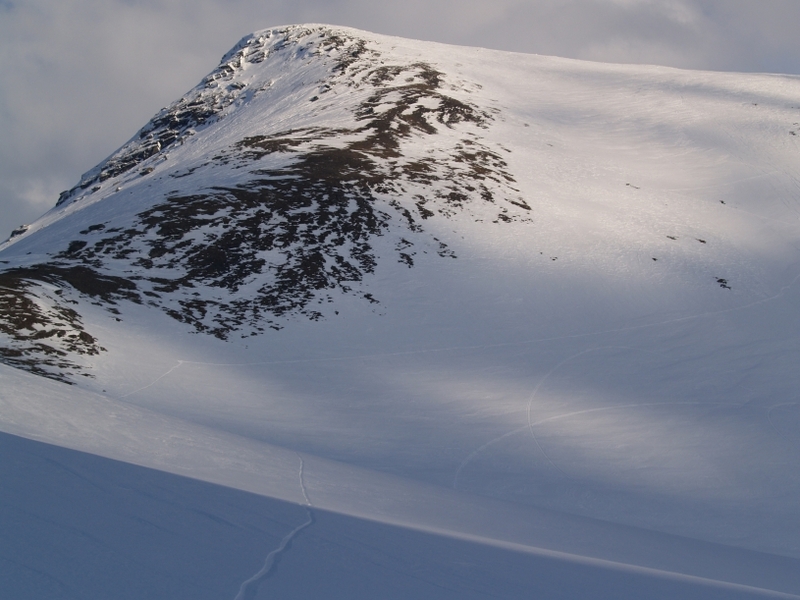 You can either follow the NW ridge or the West side to the summit. Snowboard descent 25. March 2007. Litletinden as seen from Kantornes. 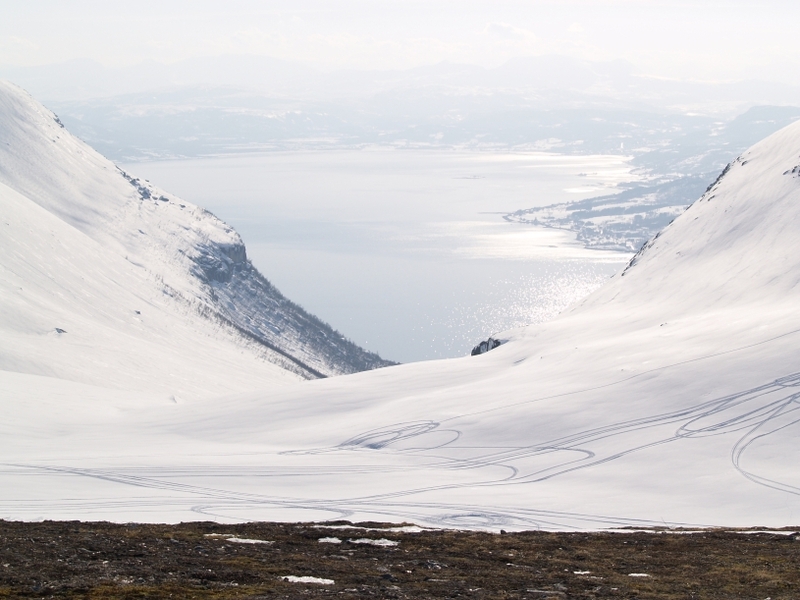 Litletinden as seen from the upper slopes of Tomasjorddalen. Litletinden as seen from Henriktinden. 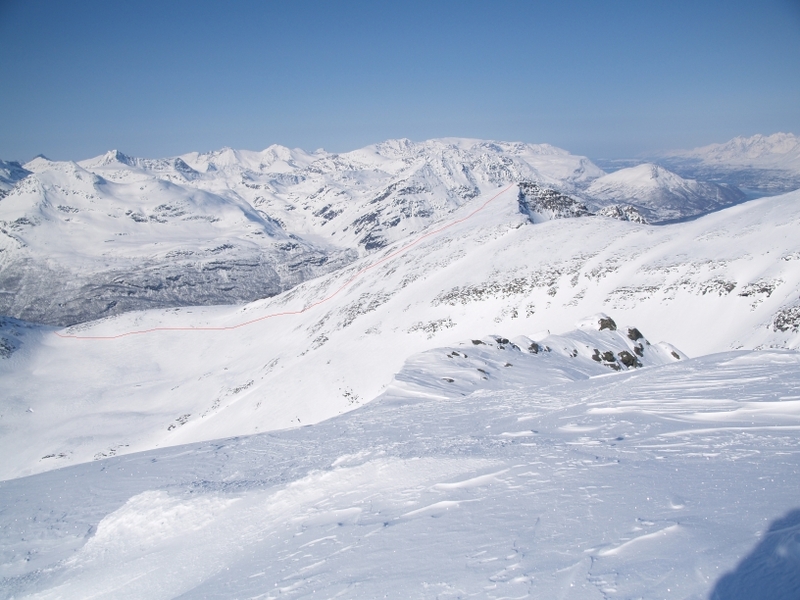 The red line marks the snowboard descent. 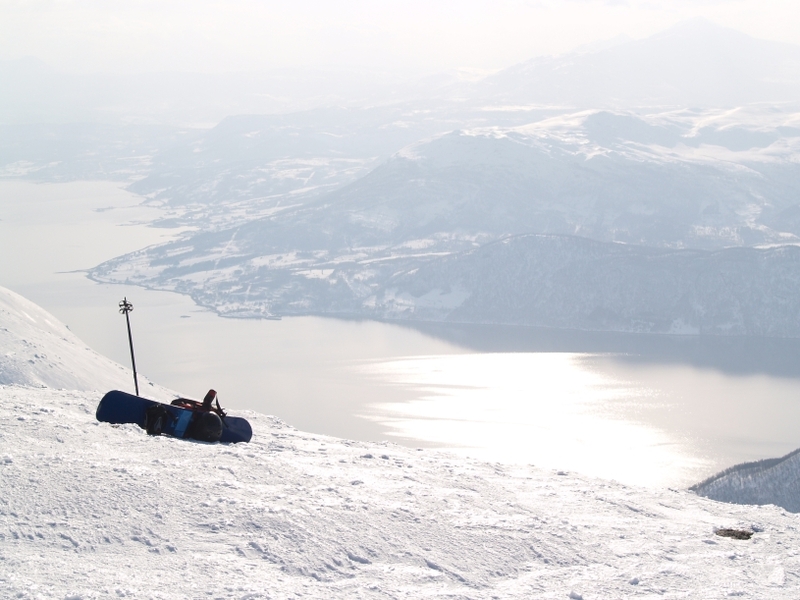 Sørfjorden as seen from the summit. Looking towards Tennes in Balsfjorden. 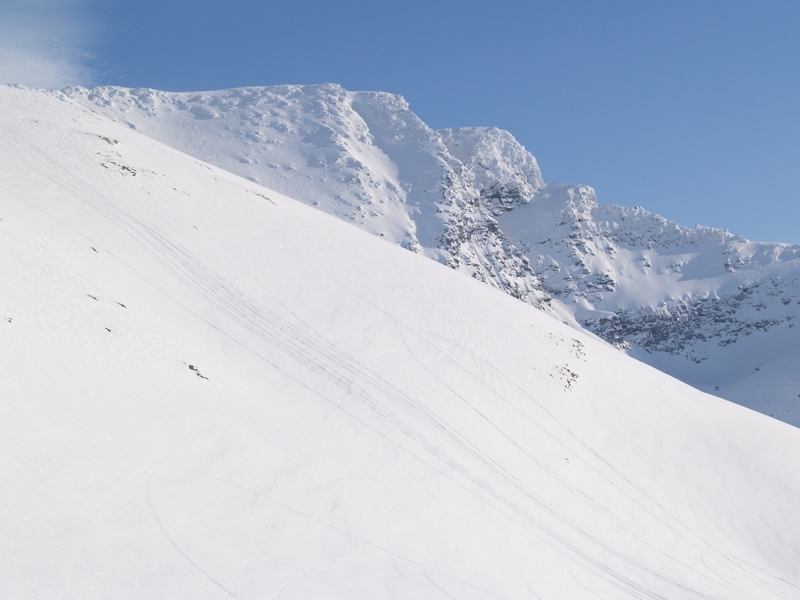 The steepest part of the West face. Henriktinden´s Point 1223 in the background. Beware of illegal snow scooter driving!